Thinking Of a New Career for 2019? Here Are Some Ideas! Career changes can be a daunting and overwhelming journey for anyone. 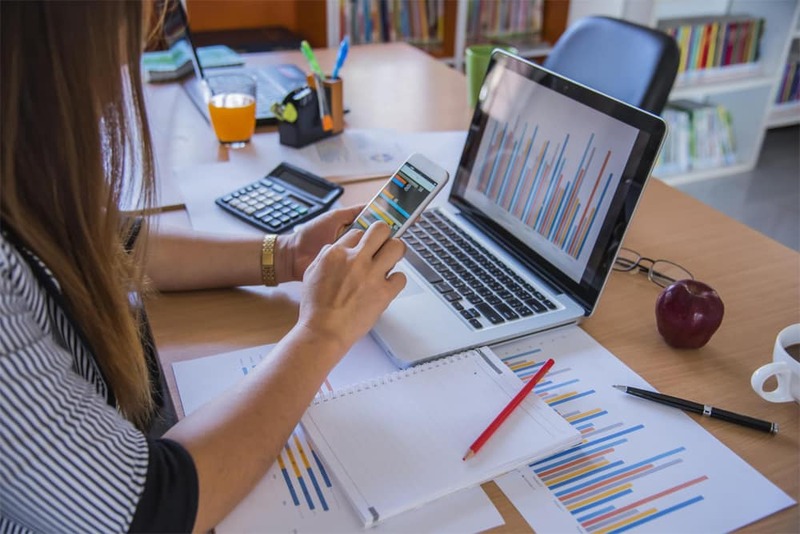 Whether you are feeling restless at a career you have had for several years or if you are looking for a change after just a few years, looking for a new career can be challenging. 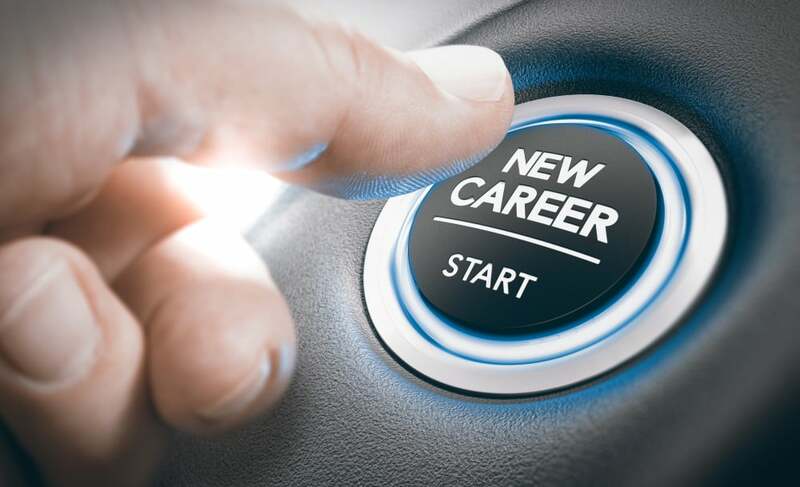 Although career changing is now more common in today’s job market, finding the right career to start your new journey can be difficult. Start a Small Business – What better way to change up your career by working for yourself? Starting a small business today is easier than ever. There are many options for starting a small business. An easy way to kickstart a business is to offer services or products. Online marketplaces such as Ebay or Etsy have made it easier to sell goods directly to customers. Offering services such as elder care or event planning can help you stay independent but also have a viable income. Thanks to the Internet, anyone can be an entrepreneur from the comfort of their home. Be part of the Collaborative Economy– A big part of the modern economy is the collaborative-sharing economy. Thanks to apps such as Uber and Airbnb, people can create an income based on sharing their goods with others. Working as a driver for a ridesharing app is a great way to make money with your own car. It’s a great way to set your own hours and meet new people. Work as a Social Media Manager – Social media has become an integral part of our lives. It is the way people communicate and connect with one another. It has also become a major career choice for many people. If you love using Instagram, Facebook, Twitter, or other social media platforms, you might enjoy using them in your career. Social media managers are in high demand from almost every industry. This job is great for those looking for a more creative job and those that enjoy storytelling. Consider becoming a Financial Planner – A financial planner is a career that actually benefits those that have had a lot of work experience in different fields. Financial planners are in demand from many industries as well. Everyone is looking for someone to show them how to manage their finances. Most financial planners have a bachelor’s degree and a CFA or CPA. However, these certifications do not take long to earn so you can begin working right away. This job is great for those who love to analyze or have a flair for numbers. It can also be great for those that are great communicators as you often have to work with a variety of people from different fields. Travel as an ESL Teacher- If you have been stuck in an office all these years, but looking to change your surroundings, incorporating travel into your job could be a good idea for your new career. Working as an ESL teacher abroad can give you a great experience of working with people and traveling. Different countries have different requirements, but usually, most places will ask for a TESL certification and you can often work while you are earning the certification. As the world becomes more and more globalized, English is fast becoming the shared language for businesses and economies all over the world. This has called for an increase in English teachers globally. Take this opportunity to not just change up your career, but also your lifestyle. Career change can be scary, but what better way to start the New Year with a new change of pace? Long gone are the days of staying at the same job for years and years. More and more, people are changing their career paths based on their ever-changing interests. The post Thinking Of a New Career for 2019? Here Are Some Ideas! appeared first on Viral Rang. Posted on December 28, 2018 Tags viralLeave a comment on Thinking Of a New Career for 2019? Here Are Some Ideas! You might have ideas that there’s a car out there that’s the perfect family car. But no such thing exists. Not every vehicle is right for every family. Gone are the days when a family would have to resign themselves to the stereotypical minivan. Today, that just doesn’t work for everyone. As your family expands, it puts pressure on your car to perform. You need more legroom, more space, and better safety features. But you’ll also want to consider how you’ll be using the vehicle. Maybe you’re a family that likes to drive off the beaten path. In this case, you’d need something a bit more rugged than your typical family car. So rather than limiting yourself, follow these tips to explore your options and find the best car for your family. When it comes to family options, SUVs and minivans are far superior to other options based on space alone. But not every family is large. If you have a three-person family with no plans to expand, you can definitely be comfortable in a sedan. Small families can use economy size sedans or larger. Medium-sized families would probably be more comfortable in an SUV. And large families often work best in a minivan. But you should also think about how your car will be used in order to determine which type to get. If you have a small to the medium-sized family but are planning to tote around your child’s friends or teammates regularly, you may want to consider getting a minivan. Family size matters but used also matters too. When you have kids, you know how quickly money can fly out of your hands. So the budget is always important. As part of the process, you’ll need to discuss family planning. Are you planning to have more kids? If it’s a possibility, you’ll probably want to consider that in your car purchase. Think about the worst-case scenario and what you’d be able to afford them. This is your monthly budget. Now, you have an idea of the size car you want and which price range you’re looking at. Car safety has come a long way in the past decade. So most cars are safer today than they were in the years before. But still, some models are safer than others. Some are built for growing families while others are built more for speed. Take the Volkswagen Tiguan, for example. It includes safety features like front and side-thorax airbags that protect the driver and front-seat airbags to protect passengers. It also has electronic safety features like electronic stability control, an anti-lock braking system, anti-slip regulation, and a tire pressure monitoring system. Vehicles like the Tiguan also feature crash-optimized bodies and energy-absorbing front and rear steel center B-pillars. We touched on usability earlier when exploring car types, but it’s time to dig a little deeper. Now, think about the climate where you live. If you live in a snowy area, consider a vehicle with 4-wheel drive or all-wheel drive. If you’re the outdoorsy type of family, you may want a vehicle to take you on a dirt road and up a mountain. Even if you have a larger family, a minivan probably won’t suffice. You’ll need an SUV or crossover with higher ground clearance and good traction. It can be difficult to choose the right family car, but the good news is that if you do this right, you probably won’t have to do it again for many years. Narrow down the selection to a few vehicle types and start going on test drives. You’ll know your family car when you see it. The post How to Choose the Best Car for Your Family appeared first on Viral Rang. The Forex market is a term that refers to the global marketplace where people from different countries trade in trillions of dollars of the world’s currencies every day. Since it covers such a wide area, this market is subject to a couple of factors. Forex traders use these economic factors to determine how they will buy and/or sell currency to maximize gains. As part of the Balance of payments, the state of the current account of a country helps predict the value of its currency. The balance of payment encapsulates all international transactions in a country. The current account gauges the outflows and inflows of goods and services into a country. When a country exports more than it imports, it results in a current account surplus, while higher imports than exports lead to a current account deficit. A current account deficit means that the people of the given country are buying more than they are selling and are therefore offloading their currency thus putting downward pressure on its value. A current account surplus, in turn, is indicative of a thriving currency. Most governments release reports of their balance of payments on a quarterly basis. The terms of trade play an important role in the forex market and are linked to the aforementioned Balance of Payments. The levels of imports in relation to exports serve as an indicator of the demand for a given country’s goods and services. A country whose goods and services are in high demand witnesses an increase in the value of its currency. Buyers of these goods have to convert their money into the country’s currency increasing demand for this currency thus pushing its value. The reverse is true for a country whose goods and services are not performing well. The politics of a given country dictate how its economic plans unravel. The perceived value of a currency is also affected by the political climate of the country. Forex traders monitor the political news to predict what a government’s economic policies will be. Subsequently, major events like upcoming elections and political upheavals play a part in determining a currency’s value. The inflation rate is the rate at which the prices of goods and services are generally rising in any given economy. When the inflation rate in a country is high, the value of its currency drops. When the inflation rate is low, the currency becomes relatively more valuable. The Central Bank of a country sets the interest rates as part of its monetary policy function. It can vary the interest rates based on the economic climate at a particular period of time. For example, if the inflation rate is higher than the desirable amounts, it can increase the interest rates to reign in on the amount of money in circulation. Consequently, the currency rate also increases and vice versa. Forex traders regularly check the employment statistics released by different countries because they serve as an indicator of the economic state of the countries in question. High unemployment rates are evident when economic growth stagnates or regresses. This means that the currency is also plummeting in relation to other world currencies. Speculation is intangible and immeasurable but still a very important factor in currency trading. When there is speculation that a certain currency will increase in value, its demand increases further boosting its value. When a trader uses an effective forex platform, they can use it to detect such changes and capitalize on the upward trend. The national debt of any government tells whether a government is likely to secure foreign capital in the near or distant future. A country whose public debt is high makes foreign investors shy away from investing their money in it. As a result, the economic growth of the country slows down causing its exchange rate to fall. These factors are influential in the Forex market and the best traders position themselves to anticipate movements and act accordingly. To have an edge in the market, traders should be keen on all the major economic and political events in a country as well as the long-term speculative moves made by big institutional investors. The post The 8 Economic Factors that Dictate the Exchange Rates appeared first on Viral Rang. There are, without a doubt, many beautiful islands to explore all over the world, but the 10 on our list have been the favorite destinations of yachting enthusiasts in 2018. Whether you prefer visiting beautiful cities or sandy beaches, there is a perfect destination for you. Plus, traveling by yacht is the ultimate in luxury and comfort, not to mention being able to explore these areas in a completely different way. 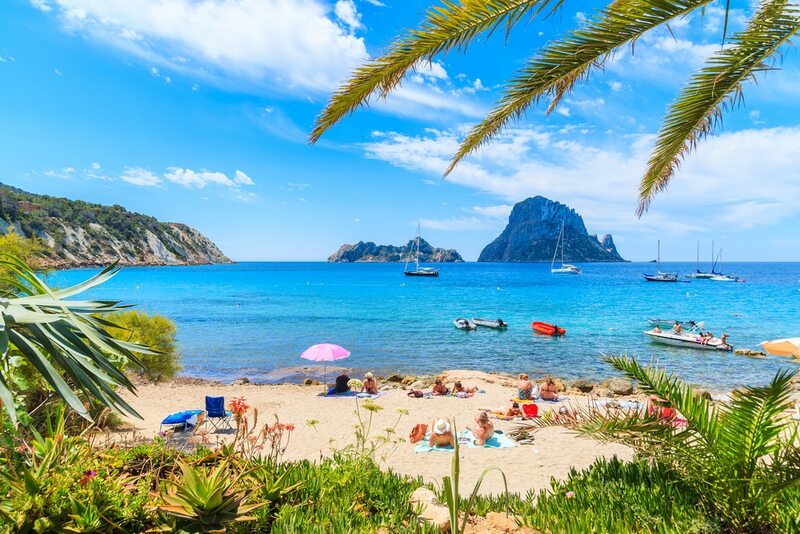 The Balearic islands have seen explosive growth this year, despite the high Spanish Value-Added Tax (VAT) at 21%. Guests looking for the perfect yacht will have a choice between 18 and up to 75 meter-long vessels. During the day, there are tons to explore in these islands and at night, the clubbing scene is not to be missed. Shopping is also top, but they also offer history and art, like in the old home of Dalt Vila. 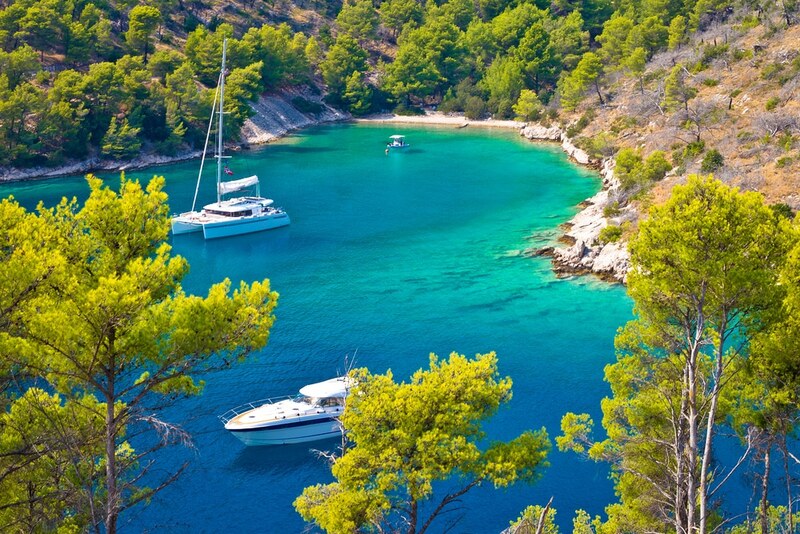 While onboard your luxury yacht you will see dramatic coastlines, numerous cove beaches and also thick pine forests. 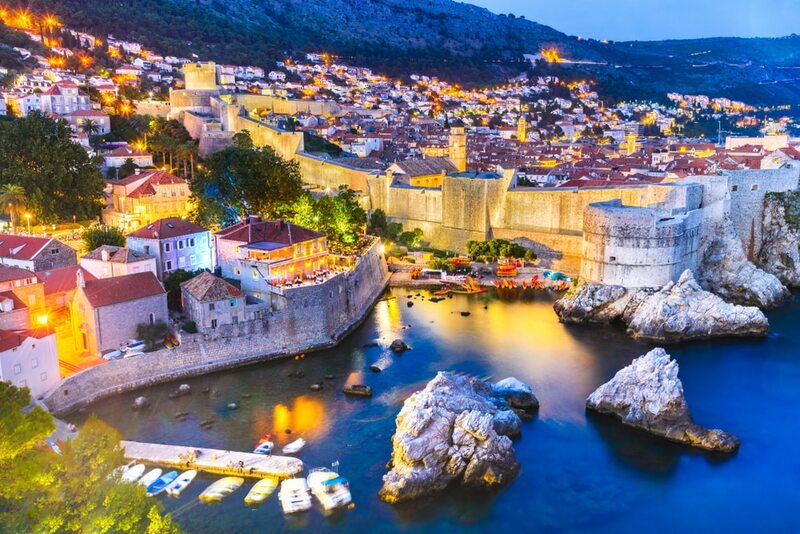 Lord Byron once called Dubrovnik “The Pear of the Adriatic”, with its romantic charm and beautiful marble streets and centuries-old buildings with their unique bright orange roofs. While the city has seen growth in tourism, it has also grown to be one of the most welcoming yacht destinations in Europe. Once there, visitors can roam inside the high city walls made of stone and explore the ancient city. Beyond that, it also offers picturesque views nestled between rocky ledges. Dubrovnik, Croatia. Spectacular twilight picturesque view on the old town of Ragusa from the Lovrijenac Fortress. The second smallest country in the world is the perfect picture of luxury and splendor. 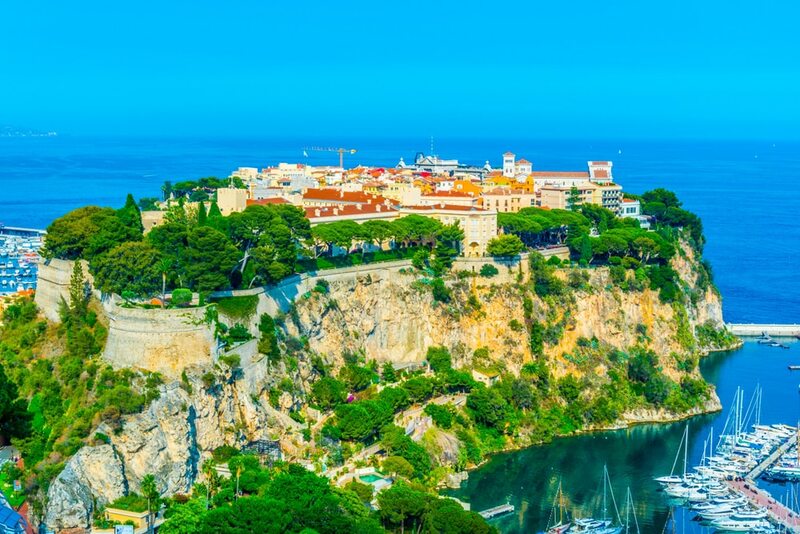 Found in the heart of the Riviera, prestigious events like the Formula 1 Monaco Grand Prix and the Monaco Yacht Show have attracted well-heeled guests. The old town and the world’s biggest natural harbor are the top places to see here. Aerial view of the old town of Monaco. If you are tired of the usual Caribbean or Mediterranean destination, then Galapagos should be next on your list. The best part is, you can go at any month of the year. If you are into nature and seeing animals in their natural habitat, then here you can snorkel or kayak among resident sea lions, penguins, sea turtles and others. You can give hiking along lava tunnels a try as well. Be prepared for a lot of activity because once you see this place of natural beauty and wonder, you will want to explore as much as you can. 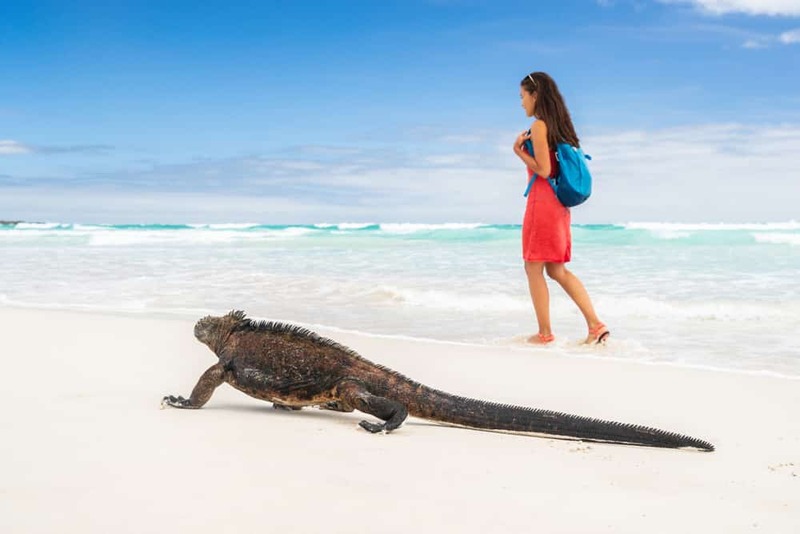 Galapagos wildlife marine iguana walking on Tortuga Bay beach in Santa Cruz island with tourist woman in the background. Galapagos islands travel vacation. 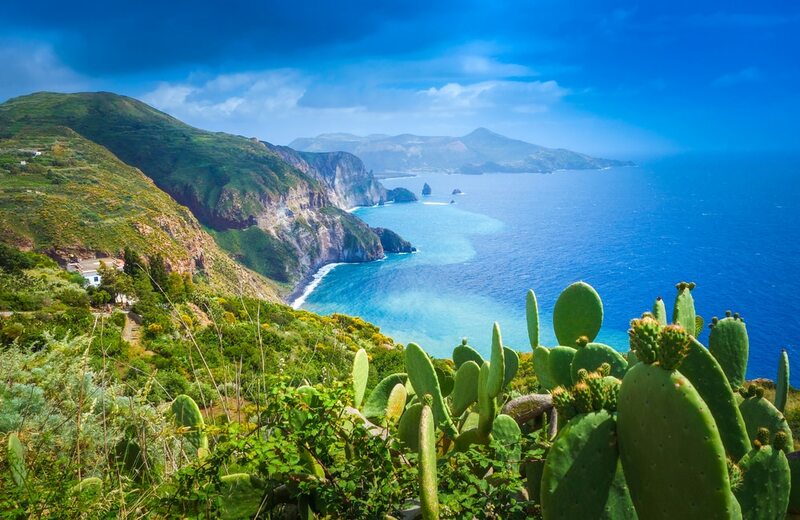 These islands in the Tyrrhenian sea are famous for the wine, their cuisine, and history. With the prehistoric village in Panarea dating back to 1300 BC, you can spend the day shopping, eating and drinking. But what makes this a top luxury yacht destination is that it is the best way to discover the coastline. You can go diving or snorkeling to fully enjoy the island’s natural beauty and if you are looking for quiet and unique, then head over to the more remote islands where you can find natural hot springs and volcanic mud baths. Lipari island, Italy, beautiful view on Vulcano island from Lipari island. One of the Cycladic Islands, Mykonos is also a year-round top destination for luxury yachters. Far from being a remote and underdeveloped island, it still has lots of natural beauty to enjoy. 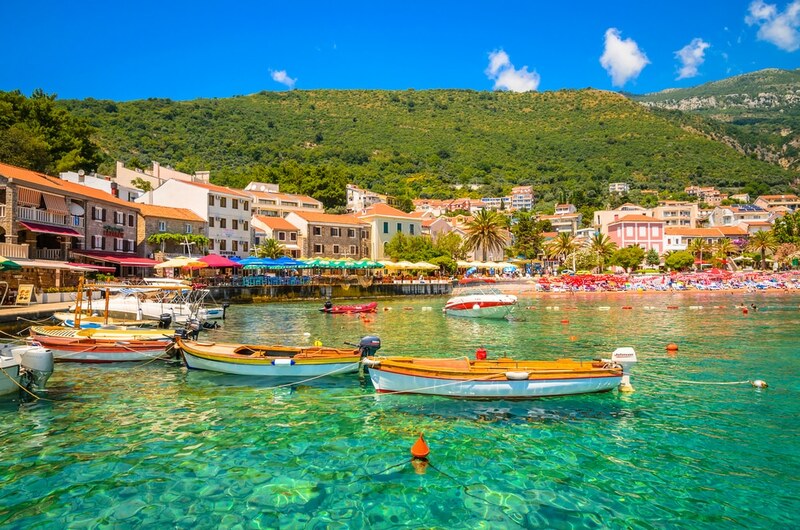 In fact, lots of famous people love this island and you will see them strolling around or sitting on one of the waterfront cafes in the town’s “little Venice”. From the very second, you dock, you will already be impressed with the modern marina complex full of cafes, boutiques, and waterfront bars. These areas are also perfect for a night out so there is no moment to get bored during your stay. 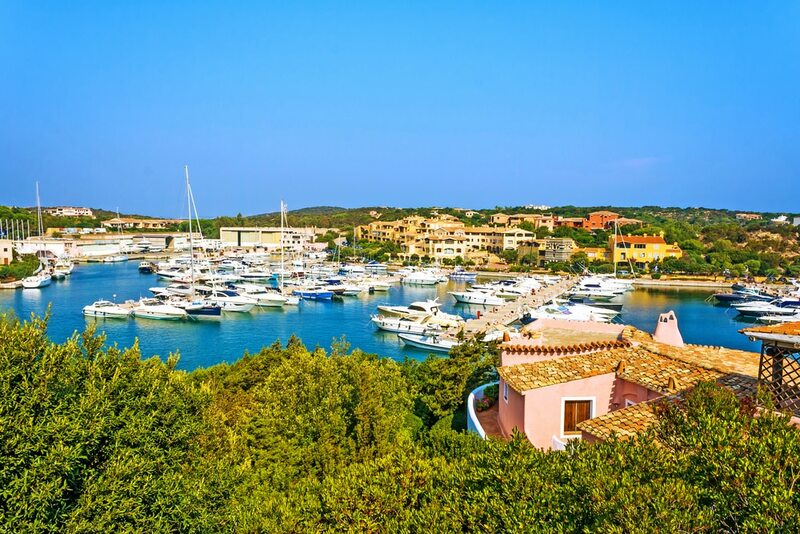 Beyond the luxurious lifestyle it offers, Porto Cervo (or what others call “the heart of Costa Smeralda”) has beautiful beaches and the big blue sea. However, during the summer it can get quite full and crowded so if you prefer some peace and quiet, then it is best to go during the off-peak season. Harbor in Porto Cervo, Sardinia, Italy. All over the world, this place is known for the eye-catching landscapes, the crystal-clear waters, and the warm sunny days. But it is also a perfect destination for culture and history buffs and not to forget, the tasty cuisine and wine. 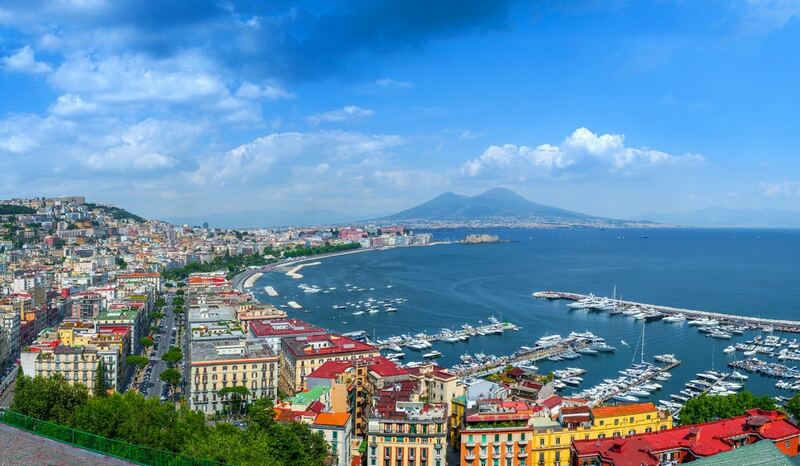 Sorrento should not be missed, with the town on top of a beautiful cliff. Another must-see is Capri island, breathtaking both during the day and at night, as the island goes to live with music, dancing, and laughter. Dining in this island is also a wonderful experience to remember. In the extreme south of France, it is nestled by the cobalt-blue waters. Luxury yachters dock on the picturesque natural harbor and you can go and explore the narrow alleyways of the old town. This gives the town of Bonifacio its charm and you can sample the local restaurants and bars for some wonderful local cuisine. Once your tummy is happy, you can head off to explore the several beaches separated by majestic cliffs. The most popular beaches in the island include Rondinara, Sant’Amanza, and the beach at Petit Sperone. 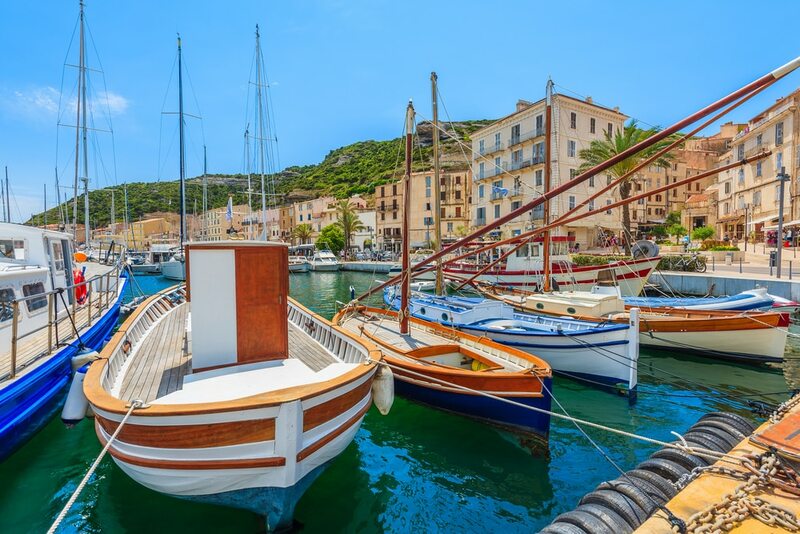 Colorful typical fishing boats in Bonifacio port, Corsica island, France. The new luxurious Porto Montenegro marina might not be as old, but it has the same ambiance as the Old Cannes port. This facility is the fruit of the biggest foreign investment in Montenegro and it offers visitors a nice shopping experience. They can also try out some of the spa treatments or watch the other luxury yachts docking. In the far south of Montenegro is Velika Plaza, a 14-kilometer long beach with soft, yellow sand and shallow waters. This makes it perfect for families but also for extreme water sports lovers. Another top destination is the Tara Canyon, the second deepest canyon after the Grand Canyon. PETROVAC, MONTENEGRO, Beautiful mediterranean landscape – boats near town Petrovac, Montenegro. From beautiful sceneries to delicious cuisine and lively nightlife, these destinations offer luxury yacht charters at the best places to spend their holidays. So take note and slowly plan your next vacation to one of these top 10 luxury yacht destinations. The post Top 10 Luxury Yacht Charter Destinations For 2018 appeared first on Viral Rang. For decades, women’s earning and spending power has been on the rise. 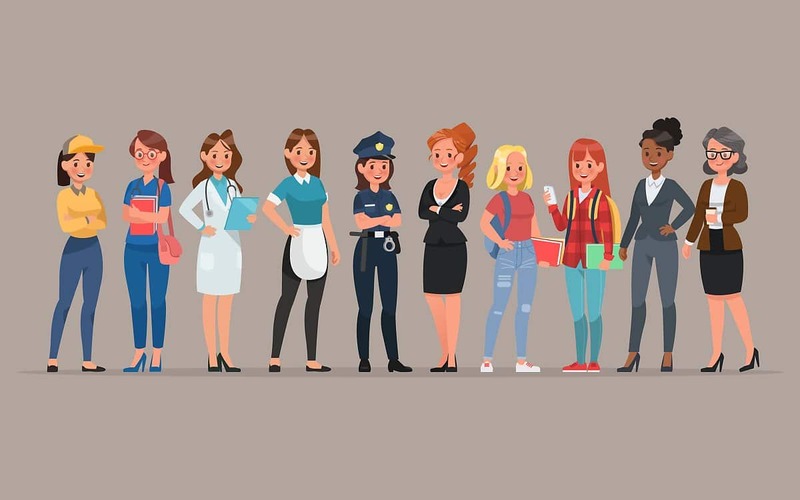 Women got to control their own finances in the 1970s and 80s and began to join the workforce not as side jobs to parenthood but as career-oriented participants in our economy. As recently as a decade ago, women were making the majority of the financial decisions in households across the United States, including the purchase of new homes, cars, and electronics. As society has changed over the past 75 years, so have the values of the people living in it, especially the women. Educated and ambitious, more women have been setting aside marriage and family to secure careers first. The younger she is, the more likely she places a high value on her profession. This isn’t to say that women aren’t interested in having children, just that many women are putting it off till their late 20s and early 30s. Moreover, more women are embracing the role of being the family breadwinner and leaving the chores to spouses and partners. Families themselves are changing, with extended family or more than two generations living together, leaving moms more time to work. Career women also aren’t out spending frivolously. Women are the majority purchasers of 85% of products and services. They are out buying homes, cars, computers, and electronics. They are spending on food and healthcare, as well as time with family in the forms of outings and vacations. Women are even almost half of all sports revenues. These trends, unsurprisingly, have risen with women’s presence in the workplace, especially as more women start businesses of their own. Many women are the primary earners in their families. It’s not all seriousness for career women. Dressing and accessorizing well adds to confidence just through the feeling of looking good. This has given an extra boost to online shopping. Many women are relying on resources such as customer reviews and online comparisons to buy clothing and accessories. This is not limited to handbags and shoes, either. Women are increasingly using their mobile devices to buy diamonds online, as well as cosmetics, perfume, and other toiletries. With Millennials positioned to be the most financially independent women in history, there will only be an increase in women’s spending power. Nevertheless, women are still feeling alienated by marketing that caters to tired cliches or other generations. 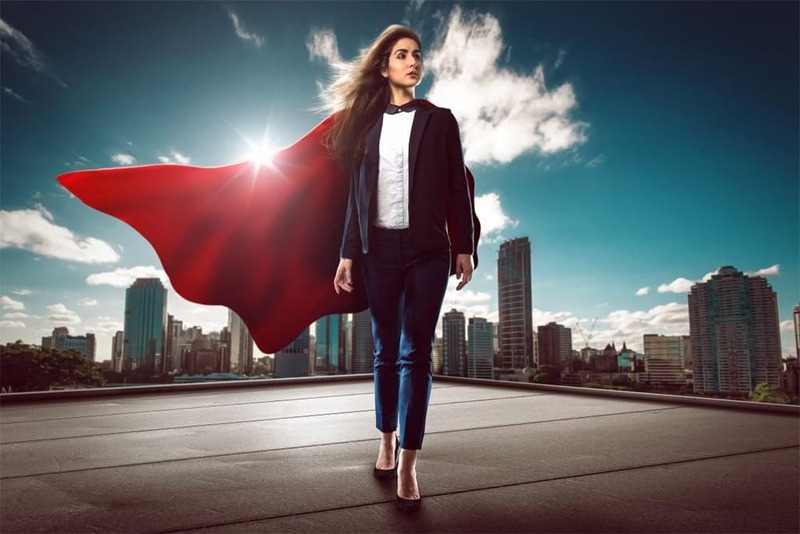 Smart companies can take this opportunity to target their marketing to today’s career women by examining what they need and want in their lives. Corporations who have done such studies in the past have seen the benefits in their bottom lines. The demographics of independent women represents a lot of different types of women from diverse backgrounds. Some are married, some are not. Some have children while others found alternate ways to channel their energies. Career women are on the rise and bringing with them a variety of tastes, and the revenue to grant their own wishes. What will the world offer them? The post Independent Career Women and Money Spending Power appeared first on Viral Rang.